At eleV8 Design + Builders, we are committed to sustainability and utilize a holistic approach when designing and constructing our projects. 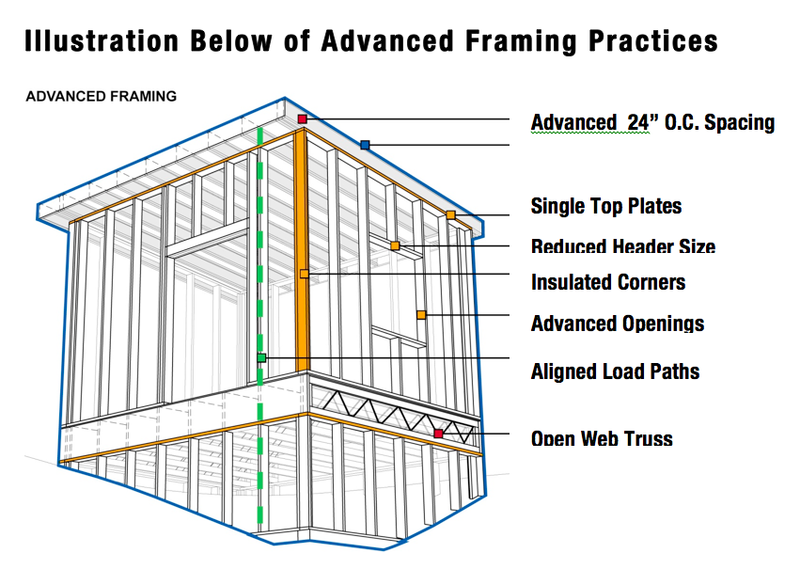 We apply advanced building science principles, pull from years of experience, and utilize innovative building practices to create high performance homes that will endure the test of time. Below we have highlighted some of the approaches that we use to achieve a superior level of performance. Building science evaluates heat, air, and moisture flows in a home and their combined impact on safety, durability, energy, and comfort. It examines the structure using a holistic approach and “systems thinking”. The size and cost of each system (from envelope to mechanicals to occupant controls) depends on how hard it must work and how efficient it is at its job. When the efficiency of the envelope is maximized, environmental control systems, such as HVAC and water heating, are able to provide more effective control with smaller capacity and superior energy efficiency. At eleV8 Builders our team members have extensive backgrounds in Building Science and utilize these competencies to create comfortable, healthy, energy efficient, and durable homes that will enhance our homeowners experience. In residential construction, concrete performance specification and periodic testing (such as slump tests) ensure quality control and give the ability to prevent moisture problems from the outset. Water added on site decreases the design strength of the concrete but admixtures can reduce the water content required while retaining workability. This also reduces the amount of moisture released while curing (the concrete cures and releases moisture up for at least six months following construction). eleV8 Builders utilizes technology to optimize the concrete mix design to increase strength, improve workability, reduce cracking, reduce water content, and incorporate recycled materials to reduce environmental impacts. 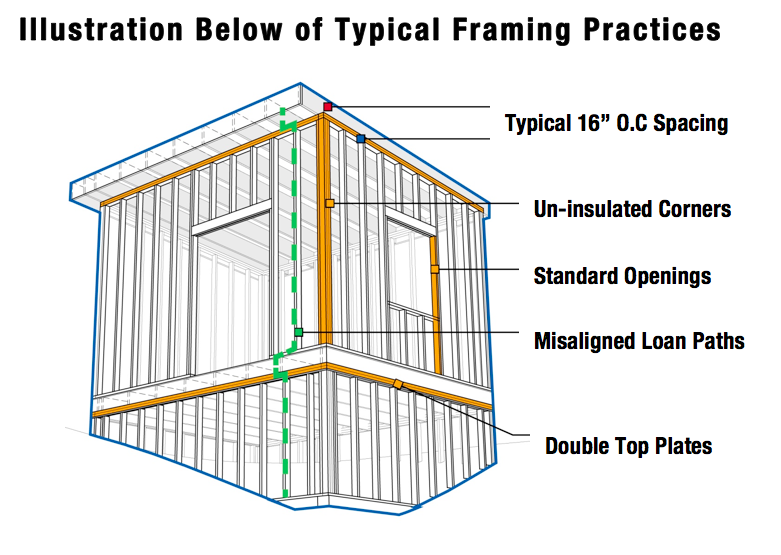 The building envelope is analyzed in terms of four primary control layers (bulk water, air, vapor, and thermal) that functionally separate the inside from the outside. These layers shed water from the envelope, keep conditioned air in conditioned space, prevent moisture buildup that can cause mold growth, and provide thermal protection for the indoor environment. The interaction among the control layers determines the durability of the structure and they are only effective when all are present. There is only one opportunity to build the envelope correctly so it is essential to install the control layers completely and continuously the first time. At eleV8 Builders, climate specific control layers are installed continuously across all assemblies to allow the building to respond appropriately to the indoor and outdoor conditions, increasing the durability of the building assembly and providing a comfortable environment for the occupants. Creating an unvented (or sealed) attic by insulating the bottom of the roof deck with spray foam, in lieu of blown in insulation on the ceiling plane in a conventionally vented attic, drastically reduces air leakage by impeding the “stack effect.” Moving the thermal control layer to the roof deck requires insulation on gable walls, but any knee wall insulation and radiant barrier may be removed from the attic roof system. The unvented or sealed attic approach also considerably decreases the temperature difference between the house and the attic, providing a suitable location for HVAC equipment and ductwork. eleV8 Builders employs the use of unvented attics on all our projects to utilize the substantial increase in performance. This approach is an increase in cost over traditionally insulated & vented attics however, the increased comfort, durability, and energy efficiency provides substantial value-added benefits to justify the additional cost. An optimized thermal envelope with continuous control layers sets the stage for optimized environmental control systems. These include the HVAC and water heating equipment and their respective distribution components (pipes, ducts, etc). Mechanical equipment are properly sized to match the decreased heating and cooling load of an optimized thermal envelope. With appropriate control of the envelope, cooling equipment may be even be downsized. Well-designed plumbing distribution conserves water and reduces the energy required to heat it. eleV8 Builders performs in-house mechanical load calculations and designs distribution layouts for both air-conditioning systems and hot water distribution to ensure the very best system design and maximum performance. We utilize industry experts and the latest versions of Manual J, D, & S to accomplish and the optimal design and installation. Indoor Air Quality (IAQ) refers to air quality within and around buildings, especially as it relates to the health and comfort of building occupants. At elev8 Builders we employ the following approaches listed above to achieve a high-performance level of indoor air quality. Manage water to avoid mold and dampness. Plan drainage, flashing, grading, capillary breaks, and air sealing to avoid water intrusion. Select healthy materials to use indoors. Specify solid wood products or, if using engineered wood products that have low-VOC emissions. Ensure a very thorough air seal between a house and an attached garage. Dampener controlled fresh air intake. We choose better filters for the central air handler. The MERV (Minimum Efficiency Reporting Value) filter effectiveness measurement scale under ASHRAE Standard 52.2 offers ratings from 1 to 20, with 1 being a simple, fiberglass furnace filter and 20 being a HEPA filter.